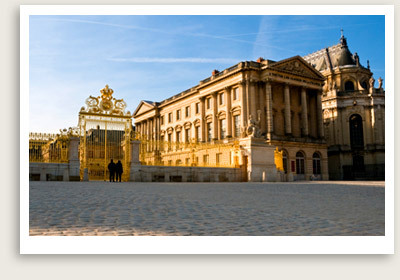 Versailles tours from Paris include the services of an expert Versailles private tour guide, roundtrip private transportation. Closings: The Palace of Versailles is closed for tours on Mondays and some holidays. Enjoy one of the most rewarding day trip from Paris and let our expert tour guides take you on a private tour of Versailles. Private tour guides conduct our tour of Versailles. Hear about the interesting stories about Sun King and those who resided within the palace. This guided Versailles private tour will cover: the Royal Apartments and Royal Chapel, the Hall of Mirrors, to the Queen’s Apartments and the Hall of the Battles, the Grand Trianon and the gardens. Your excellent Versailles tour guide will also lead you on a private walking tour of Versailles’ magnificent gardens, where you will discover the spectacular fountains of Latona, Pyramid, Dragon, Neptune, Apollo and more. (the fountains are only operating on the weekends. You may also stroll several of Versailles’ most exceptional groves, from the Arc de Triomphe Grove to the Baths of Apollo. Customize your private tour of Versailles. You may include a visit to Marie Antoinette’s estate with inside visit of the Petit Trianon and the Hamlet of Queen Marie-Antoinette instead of going to the Hall of the Battle and Grand Trianon. NOTE: The Palace, its garden, groves and outbuildings together are enormous and full day tours are highly recommended. Your tour guide will conduct your private tour at your own pace and according to your interests and needs. Book ahead. 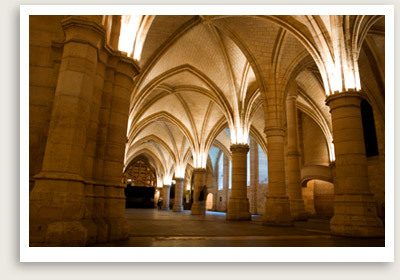 This is our 2nd most popular day trip from Paris. Advanced reservations to the palace is required. Private royal apartments of Loius XV, Louis XVI, Opera House and church OR private apartments of Marie Antoinette. NOTE: Additional fee (very expensive) for the special visits. Inquire.